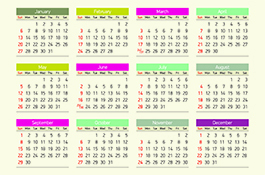 Home Bankruptcy BlogPersonal Bankruptcy How Long Will My Second Bankruptcy Last? How Long Will My Second Bankruptcy Last? 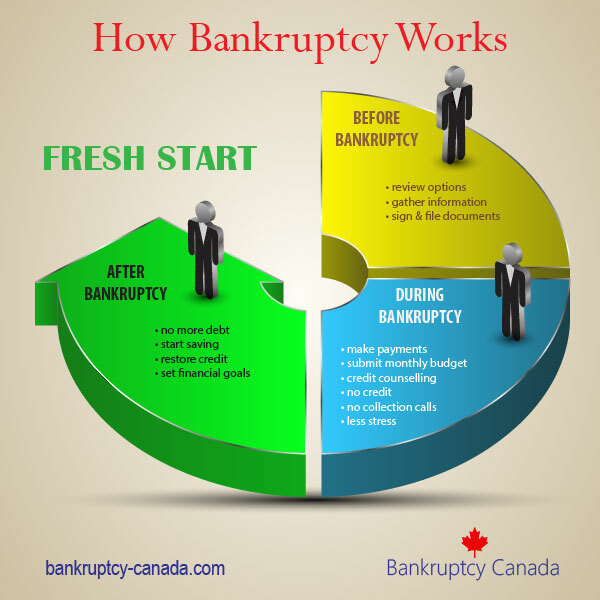 Under Canadian bankruptcy law, a first bankruptcy lasts for a minimum of nine months. A second bankruptcy lasts for a minimum of 24 months (2 years). If you have surplus income, a second time bankruptcy will extend for 36 months (3 years). A first bankruptcy appears on your credit report for a minimum of six years from the date of discharge. The current practice of Equifax, the largest credit bureau in Canada, is to report a second bankruptcy on your credit report for 14 years. If you are considering filing a 2nd bankruptcy, you should consider your options to determine if it’s possible to avoid a second bankruptcy. If you can repay the debts on your own, or get a debt consolidation loan to deal with your debts, that may be a preferable option. A more viable option may be a consumer proposal. 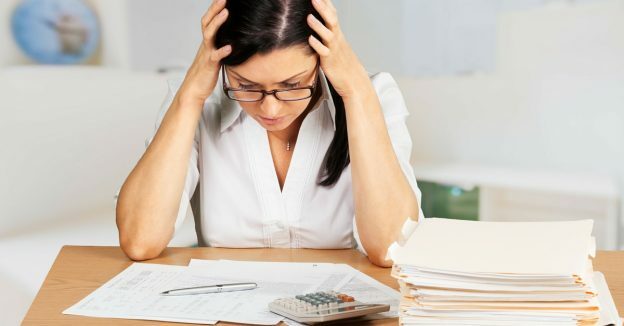 Your creditors may be willing to accept a plan where you repay a portion of what you owe over an extended period of time, allowing you to avoid a second time bankruptcy. A consumer proposal administrator can advise you on the terms your creditors are likely to accept. If a second bankruptcy is your only option, you should ask your trustee to explain in detail the projected costs so that you understand the costs and your obligations, to ensure that your second time bankruptcy is completed as quickly as possible. Contact a trustee today if you think you need to file bankruptcy a second time. You may have better options. We declared bankruptcy 16 years ago, things were good for along time until i got sick 3 years ago and couldn’t work. we have since had our home foreclosed on and cant seem to catch up on any of our old bills. If i file again will it show that this will be the second time? Yes it will. It is a matter of “fact” that at some point in the past you have already filed for bankruptcy – the government maintains computerized records back to the late 1970s and trustees are now required to do a search for prior filings on every person we assist. Unfortunately, even though it was 16 years ago, you have filed before and that will affect how your file is processed this time. How long after the discharge does a 2nd bankruptcy stay on your credit report? Hi Tracy. Equifax’s current practice is to leave the note about a second bankruptcy on your credit report for 14 years after the date of discharge. That’s one reason many people choose to do a consumer proposal instead of a second bankruptcy, since a consumer proposal only appears for three years after the date of completion. I have a Student Loan and I left school in 2001. Unfortunately, this was remained in spite of my first bankruptcy in 2005. My financial situation did not improve after the release. Will a second filing for bankruptcy rid me of my Student Loan? Also, how does a Trustee compute my obligations for a second bankruptcy? Hi Rob. Yes, a second bankruptcy would discharge your student loan, because more than 7 years have no elapsed since you left school. The cost and length of a second bankruptcy depends on your income, assets, and family size, so you should contact a trustee for a no charge initial consultation to find out the costs in your specific situation. My first bankruptcy was 20 years ago…the second one is current. Can my current bankruptcy be discharged sooner than 24 months? Hi Victoria. In a second bankruptcy with no surplus income and no creditor objections you are eligible to be automatically discharged in 24 months. That is the minimum period set by the legislation. The only way to be discharged earlier would be to make an application to bankruptcy court and ask them to discharge you earlier. Given that the law has already decided on the length of time for a second bankruptcy, it is unlikely that the court would discharge you earlier. Also, it can take up to 12 months to get a discharge hearing in court, so by the time you have your hearing your bankruptcy may already be over. Hi, I have had ave previously filed bankruptcy approximately 12 yrs ago, I am already on disability for years but have being working a few days a week and have been narrowly paying my bills working 3days a week. Now I’m unable to work (maybe one or two in the future) and now I’m starting to fall behind and wouldn’t be able to pay off the balances acquired, do I have to be far behind in my payments (and have them calling all the time) before I seek help. Hi Andrew. You do not need to fall behind on your payments before you seek help. You can contact a bankruptcy trustee at any time. In your case, you have two options. You could do nothing and put up with the phone calls (because you are on disability you don’t have any wages that can be garnisheed), or you could file a second bankruptcy, but it would be at least two years before you are discharged. A licensed insolvency trustee can explain these options to you in more detail at your no charge initial consultation. Hi Rory. Once you are discharged from your first bankruptcy you are legally able to file a second bankruptcy. There is no time limit between filings. I filed for my second bankruptcy during my divorce in 2010. Due to excess income I was told to complete the 36 months of reporting and payments (to be automatically discharged.) After about a year and a half I fell behind in the reporting and never managed to catch up. I did not do anything until about a year ago, I started inquiring on how to rectify the situation. My old trustee “sold” my file to someone else and that company can’t seem to find my file. I asked for a credit report and when I received it I was astonished to see that there was nothing on the report about my bankruptcy. I applied for and was given an unsecured credit card. After struggling financially for a number of years I am finally gainfully employed and married to someone who has exemplary credit. I don’t want my past to hurt us and want to do what I can to put this situation behind us. 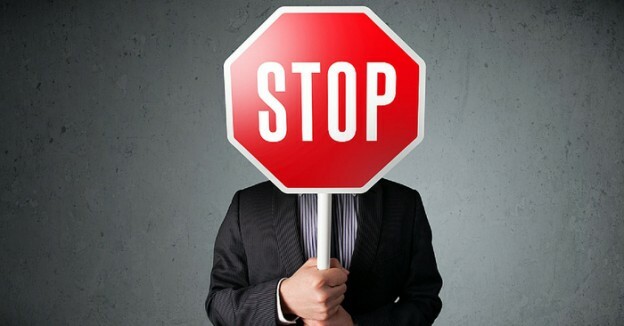 If the creditors are not pursuing me do I need to do anything? (My ex wife may have taken care of some of the debt and this could be why the creditors haven’t said anything. I don’t know.) I have learned from my past and my wife and I make sure we pay our credit cards off every month, to a zero balance. Do I simply carry on? Maybe I should just “let sleeping dogs lie” my friends have said. What do I do?? Until you complete your second bankruptcy you remain an “undischarged bankrupt” in the eyes of the Court. You should be disclosing that fact if/when you apply for credit. It likely only becomes an issue if you run into financial difficulty again and need/want to file a third bankruptcy. The “safest” thing to do would be to hire a lawyer and ask them to bring a motion before the Court to either have you discharged from your second bankruptcy or to have it annulled. Otherwise you’ve got this unresolved legal matter hanging in the background for the rest of your life. It MAY never cause you any problems, but if you wait until it does cause a problem it may make matters significantly worse… Your call of course. I filed for a 2nd Bankruptcy in 1996. It currently shows as a suspended bankruptcy. Does it ever become an absolute discharge? When you completed your bankruptcy the Court should have ordered a specific period of suspension – 3 months, a year, longer. Once that term has elapsed you are Absolutely Discharged. The permanent record will only be changed to an Absolute Discharge if someone sends paperwork to the Court advising the period of the Suspended Discharge has elapsed. This is generally only done if someone (you) request it. Hi Earl. As a general rule, CRA will make a deal if you can pay everything over the next year. They don’t like to agree to a five year deal, because a lot can happen in 5 years. Also, while there is an unpaid balance they will continue to charge you interest. So, if you are able to pay over a five year period, a consumer proposal is probably a better option, because CRA will accept a consumer proposal, and it stops all interest and collection activities, and you can avoid bankruptcy. Here’s more information on filing a consumer proposal. CRA won’t make such a deal with you directly. You could hire a tax lawyer to negotiate such a deal, but that would be expensive. Probably your best approach may be to file a consumer proposal. This is a legal procedure that allows you to repay a portion of your debt with no interest over 5 years. Before agreeing to such a deal CRA will require you to file any outstanding income tax returns so they may calculate exactly what you owe them. Then it is a matter of working out just how much they’ll ask you to repay. Contact a licenced insolvency trustee (LIT) in your area and they should be able to tell you what to expect. You’ll need an LIT in order the file a consumer proposal so speaking to one now should save you some time. Hi I have been on ODSP since the early 90’s as I have both physical and emotional disabilities. I have no other income but due to my ongoing health issues have found myself unable to continue to pay my creditors without becoming homeless(in which case, with no current home address I would lose my disability pension. If I were to file for a second bankruptcy would it also apply to furniture ‘Rent to Own’ stores or would I still need to keep on making payments to this type of debtor? Also can lawyers representing a debt collector threaten to take me to court unless I pay off the entire amount I owe by a certain date even if I am on a disability pension? Let’s deal with the furniture payment first – if you are “renting” the furniture then in order to keep it you need to keep paying them. If you are “buying” the furniture then whether or not you will have to pay depends on whether or not the seller registered a lien. You’ll have to ask whatever licenced insolvency trustee to speak to locally to check this out for you. I have alot of credit card debt and do not make enough money to pay any of it. It’s going on 2 years since making a payment. I have no job only some temporary work now and again plus a small pension. I know they cannot garnishee anything but is it correct that the creditors cannot sue or harass me after a 2 year period in Alberta? I am based in Ontario so you may want to check this with someone in Alberta, but my understanding is that creditors have two years to collect or initiate legal action in Alberta. If they obtain a judgment in Court the period to collect is extended to 10 years. That doesn’t mean a debt “goes away” after 2 years and if the law is anything like the Ontario law you have a defence in Court once a debt becomes two years old – you have to claim the defence, the Court won’t automatically give it to you.